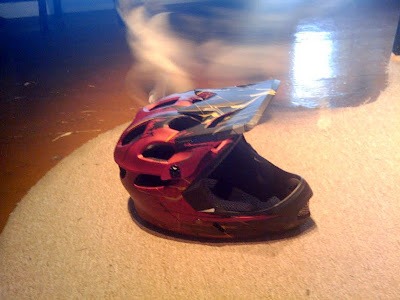 Why not have a racing helmet to protect my head even more than before? I'm sure it will take a bit to get used to it, although it is really comfortable, and light too. I feel good about now having the option to get on my bike when I am ready. I've now got one of the most important components to getting back on the road! Some other things I want to accomplish before getting back on the bike: tune the bike, and practice a bit before going on the road. Finally, I'm prepared for some downhill mountain bike racing, or simply enjoying the feeling of the open air while biking on beautiful Maui. This week I am back to work at Fun, 2, 3 preschool as well. I look forward to finishing out the year with the group. In addition to my part-time work at the school, I will also be tutoring a little girl visiting Maui with her family. Just today, I confirmed a sub day in the early childhood classroom at Haleakala Waldorf too. Teaching is in abundance. As are all things Holton Gallery. We just finished up a busy two weeks, and the projects keep on coming Matt's way. Feeling full of life's experiences!